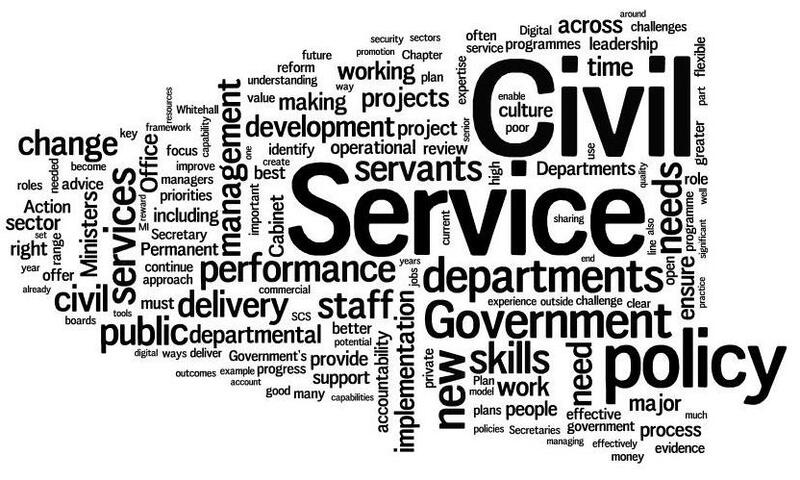 I haven’t seen much coverage of the UK government’s Civil Service Reform Plan in the media these last couple of days (it was published yesterday). It seems to have got lost amidst much more interesting stuff like Wikileaks’ founder Julian Assenge suddenly finding he has a deep affinity with Ecuador and some team winning a football match. The plan comes from Cabinet Minister Francis Maude, who seems a decent sort of chap – mostly, notwithstanding the occasional clanger about using domestic garages for the storage of UK petroleum reserves, and civil service head Sir Robert Kerslake, who’s ex-local government. So that’s OK isn’t it? Some months back I visited a large HMRC operation near Newcastle. The work staff were doing there was neither highly paid nor glamorous, but nonetheless was really important. They had committed to driving up their productivity and performance through the adoption of lean continuous improvement. This is a very demanding methodology, and requires the complete commitment of staff to a rigorous daily collective self-evaluation and to constantly searching for ways to do things better and quicker. So there you go. It’s about ‘lean continuous improvement,’ a phrase that suggests he or those advising him haven’t quite grasped the true meaning of how to improve organisations, but we’ll let that go. No doubt interested parties – trade unions, Taxpayers’ Alliance et al – will say what they think about all the other issues the proposals raise. But I want to concentrate on one fundamental point related to the issue of improvement. Creating a modern employment offer [sic] for staff that encourages and rewards a productive, professional and engaged workforce. an…appraisal system which will identify the top 25% and the bottom 10%. The bottom 10% will need to undertake performance monitoring and improvement planning… For all staff that remain bottom performers without improvement and are still not meeting the required standards, a decision will quickly be taken over whether they should be exited from the organization. Dress it up how you will this is no more than the hard-nosed, kick-arse school of American management espoused by the likes of Jack Welch, erstwhile boss of General Electric. That was his style – identify the bottom 10% each year and sack them. There are fundamental objections to this approach anyhow, but even more so if you say you believe in ‘lean continuous improvement.’ The truth is that how people perform at work is substantially the result of the system (some say as much as 90%+). Managers (leaders if you will) are responsible for how the system works and they recruit staff, decide what work they do and how, train them, promote them, manage and support them…and so on. All members of Team B are ‘worse’ than any member of Team A yet under the Maude-Kerslake proposal Nos. 19 and 20 in both teams will be subject to ‘performance monitoring and improvement planning’ and if they don’t improve will be out on their lugs.